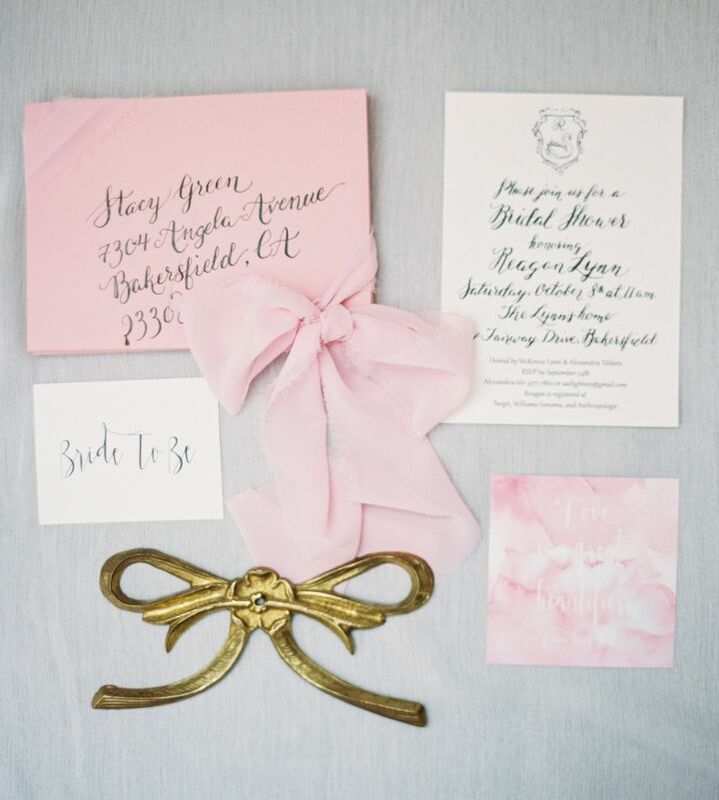 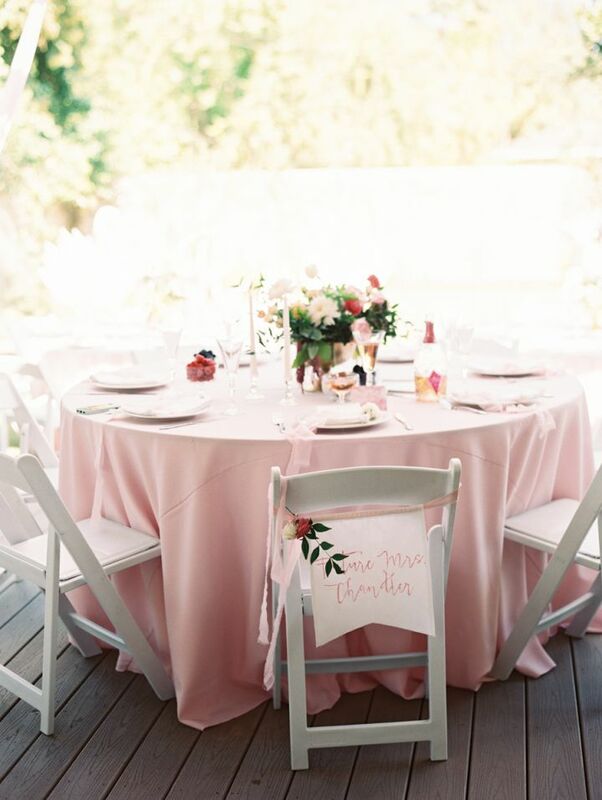 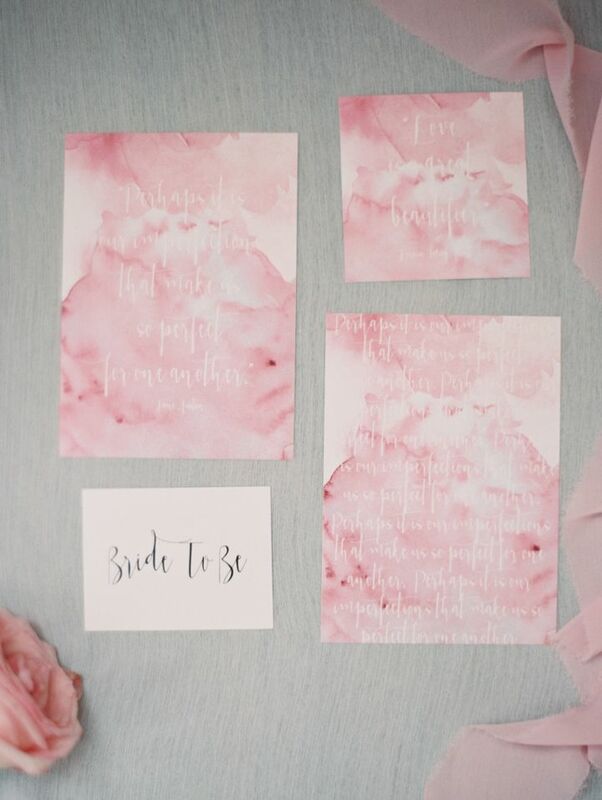 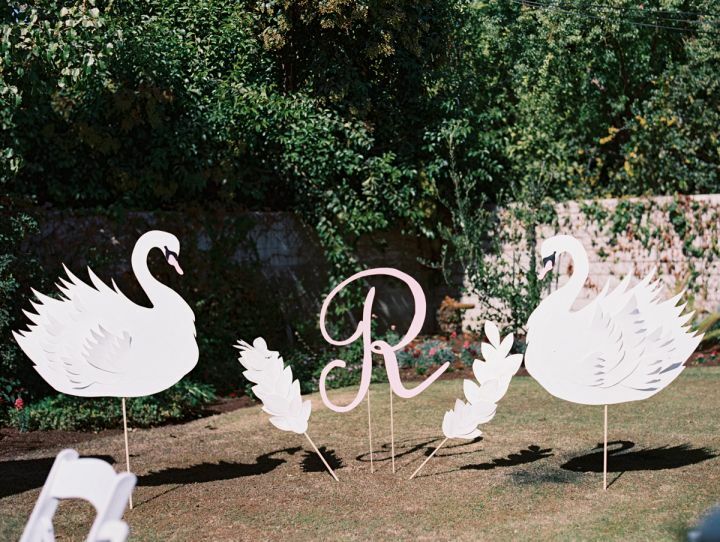 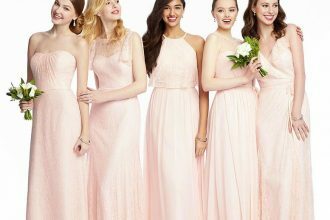 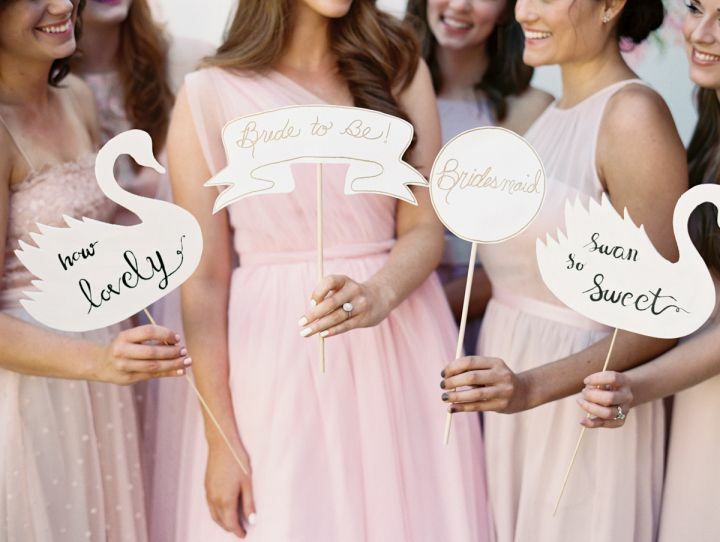 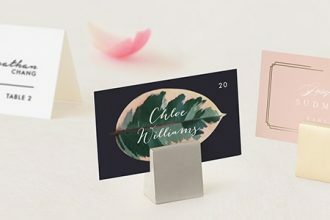 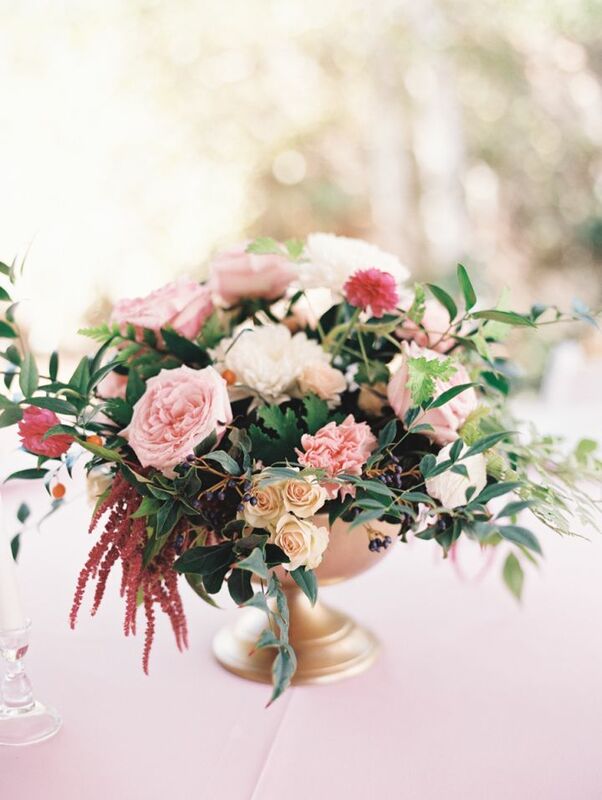 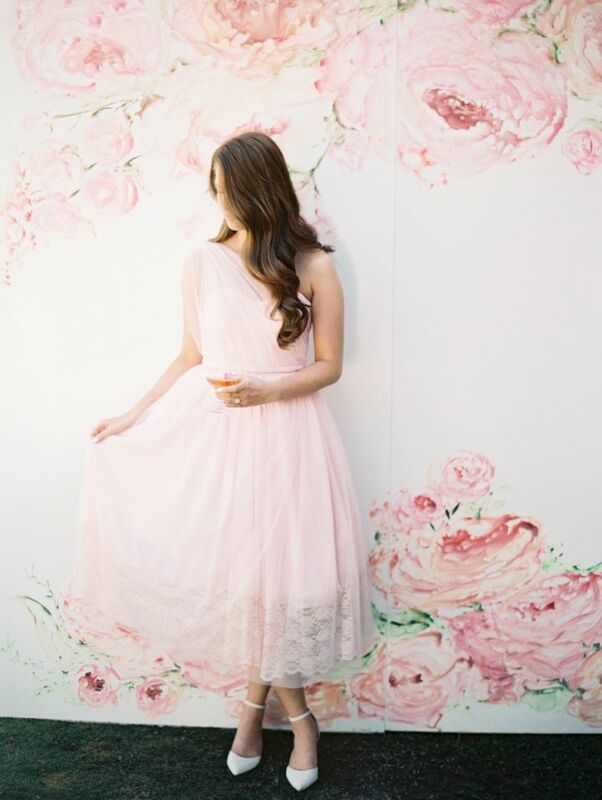 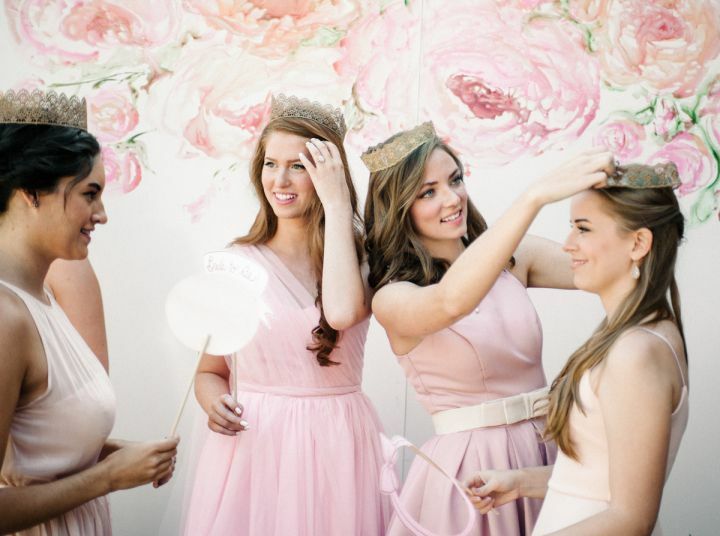 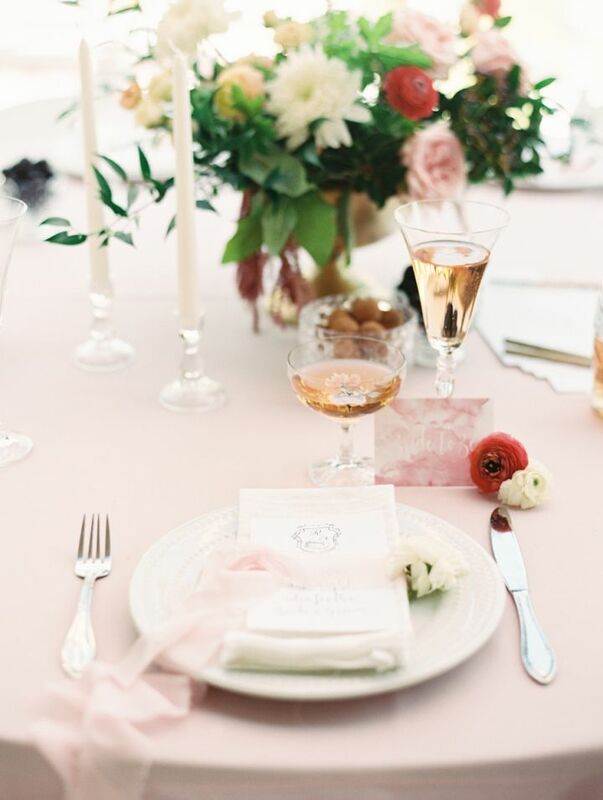 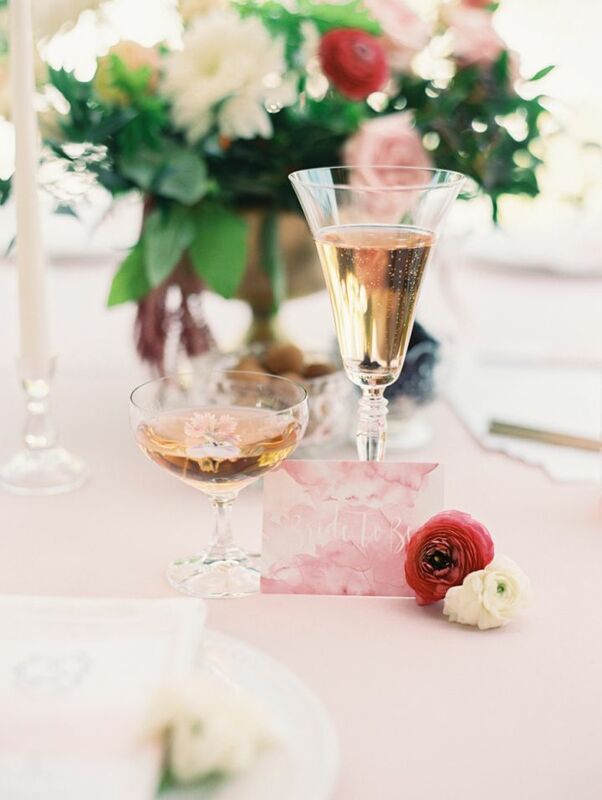 You might be considering a gender-neutral wedding design palette, but when it comes to your bridal shower – why not go head over heels for our favorite girly-girl color : PINK! 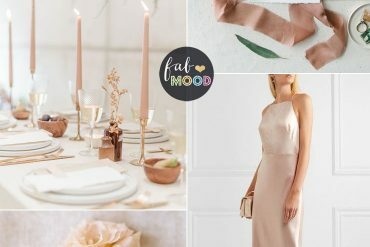 That’s what today’s bride did! 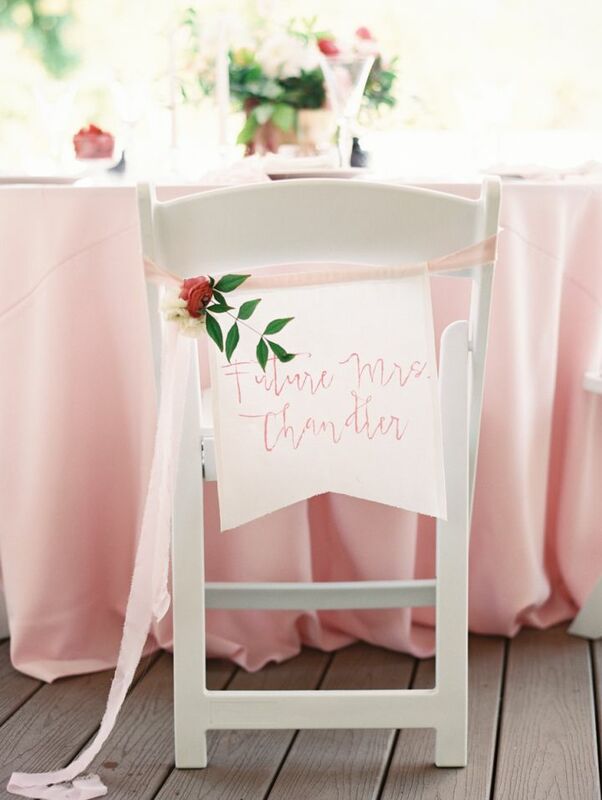 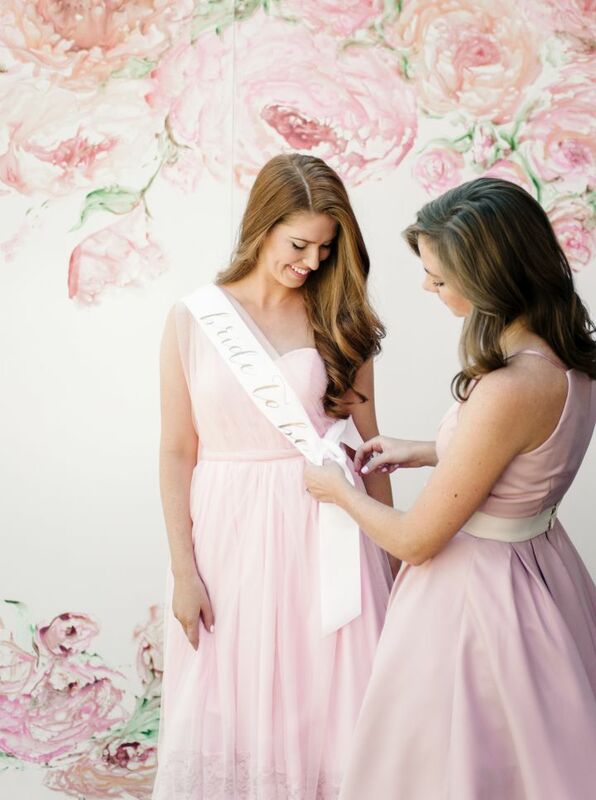 The “Future Mrs. Thandler” celebrated her pending nuptials in a pink on pink palette, complete with a gorgeous flowered photo backdrop, pink tablecloths, and pink roses as centerpieces. 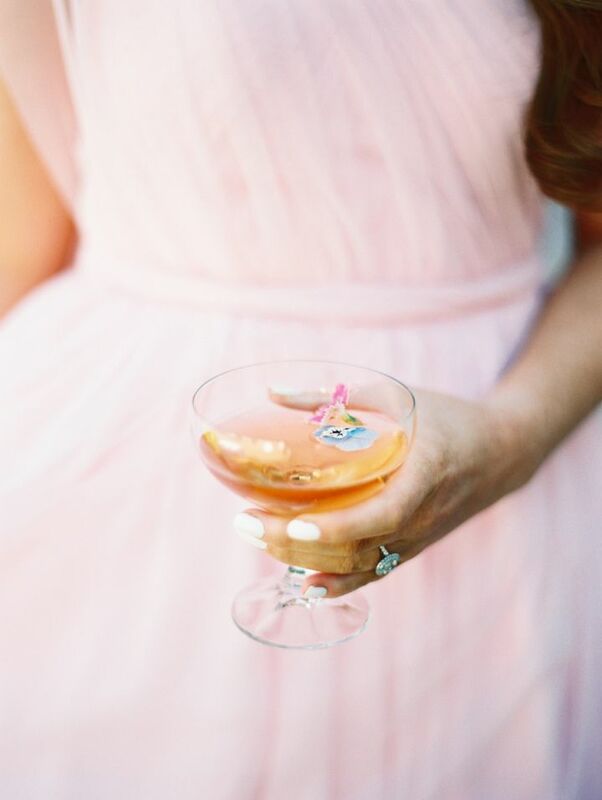 Her one-shoulder 50s-style dress was – you guessed it – pink! 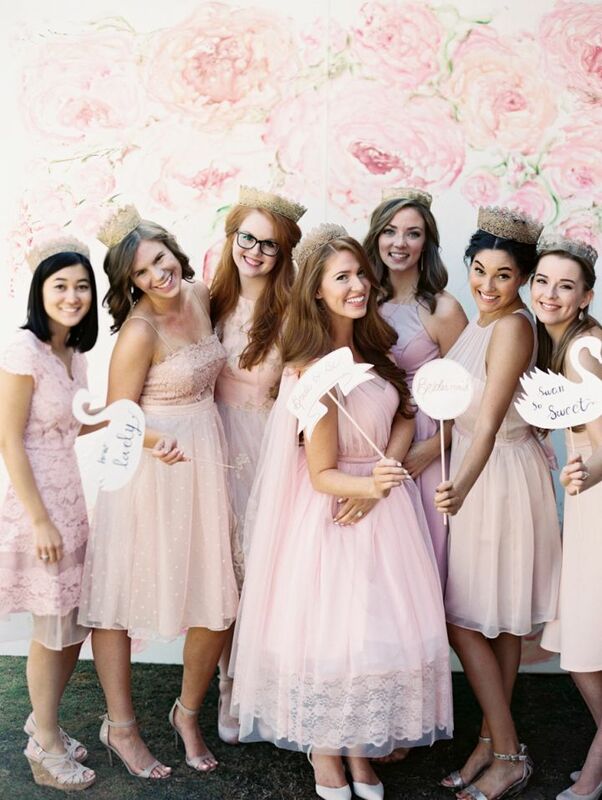 In fact, all of her besties were in pastel shades of pink, which meant that their pink champagne blended right in (just in case there was any spillage, of course!) 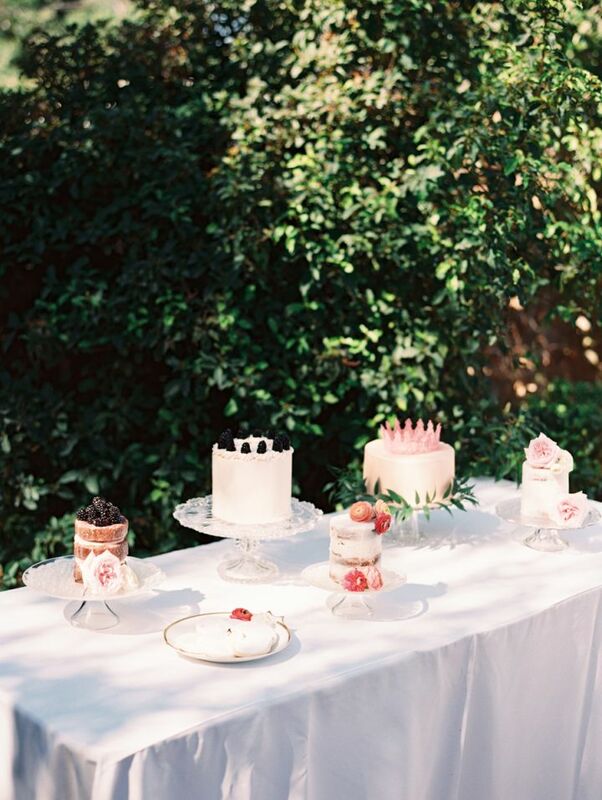 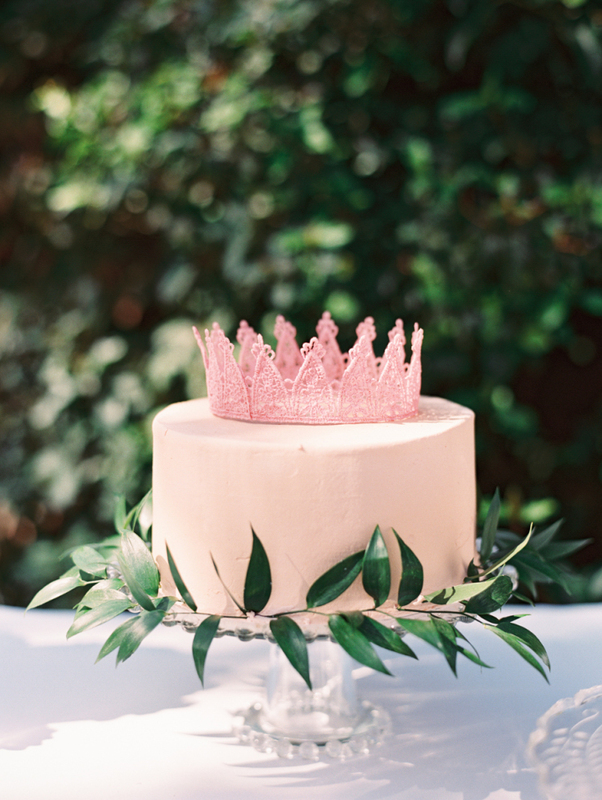 Their simple pink-iced cake is topped off with its own pink lace crown and laurel wreath. 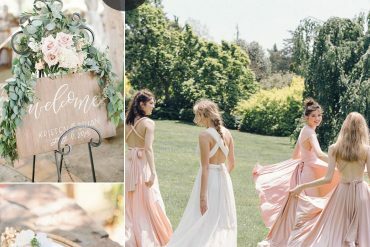 Overall, Reagan says she wanted to feel like she was at a 1950s style prom in what she considers the epitome of girliness and feminine whimsy! 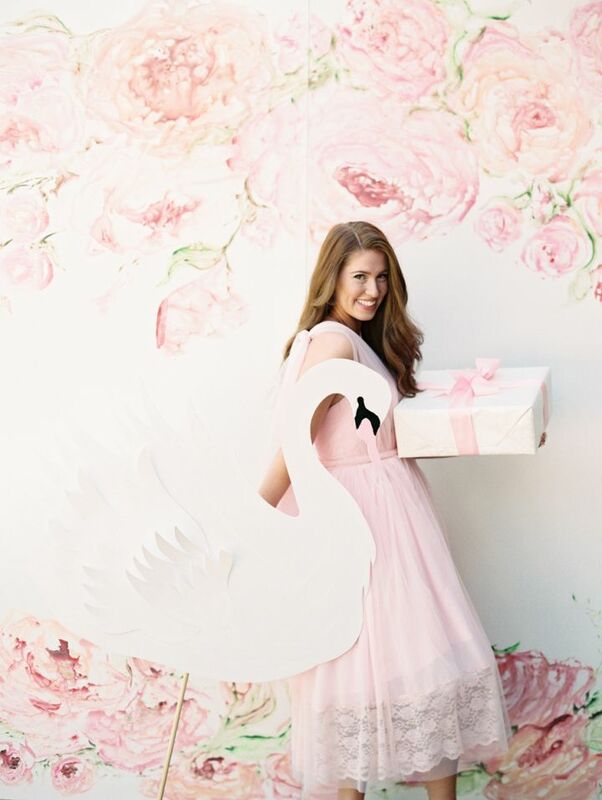 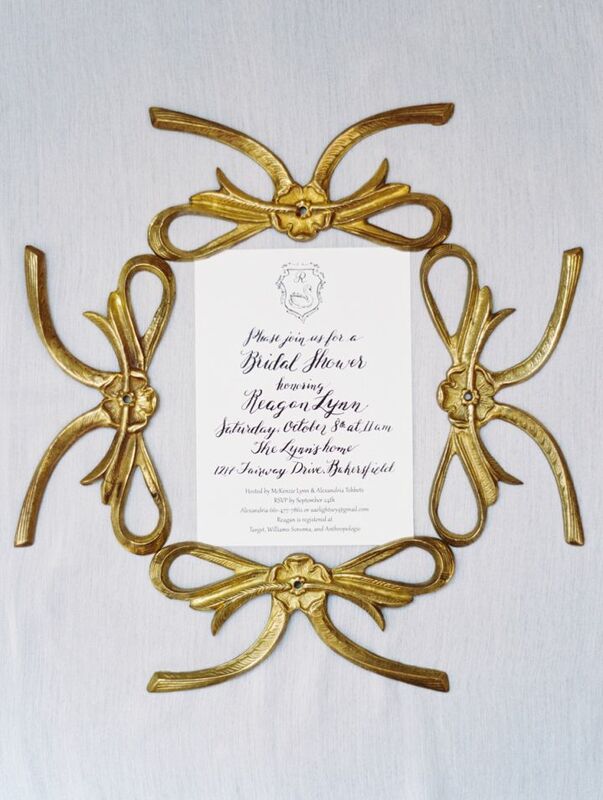 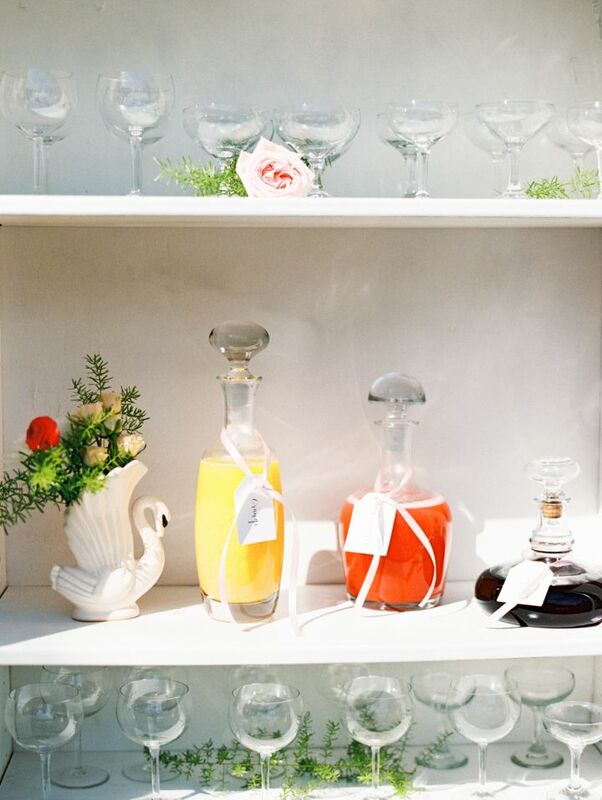 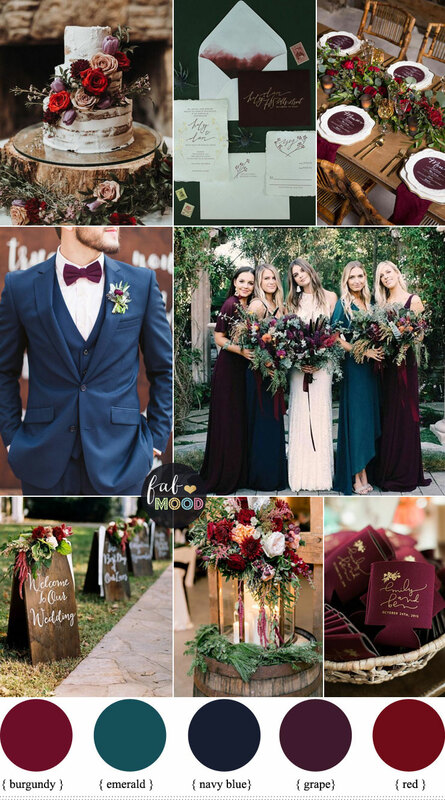 We think she did a great job, and hope lots of you brides-to-be have fun with your bridal shower too! 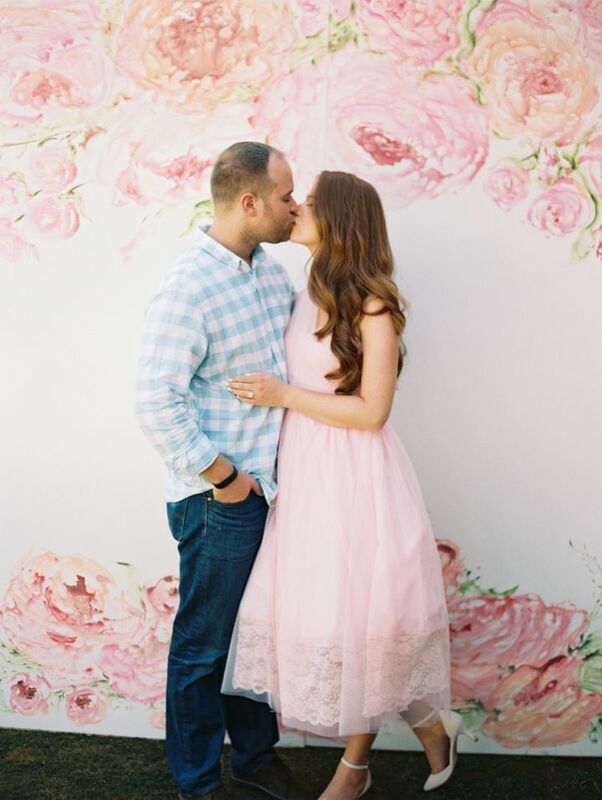 Thanks to lovely photo from Mariel Hannah fine art photography.